This tier list will show you how good your Earth Element 5 star characters are when it comes to burst damages and ranking events. Refer here if you are looking for specific or elemental characters that you can use for your team. 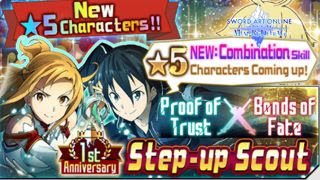 - Combo Partner: [Eugeo] - Increases damage attained by 10%.